An essential parent training component of any home ABA program. 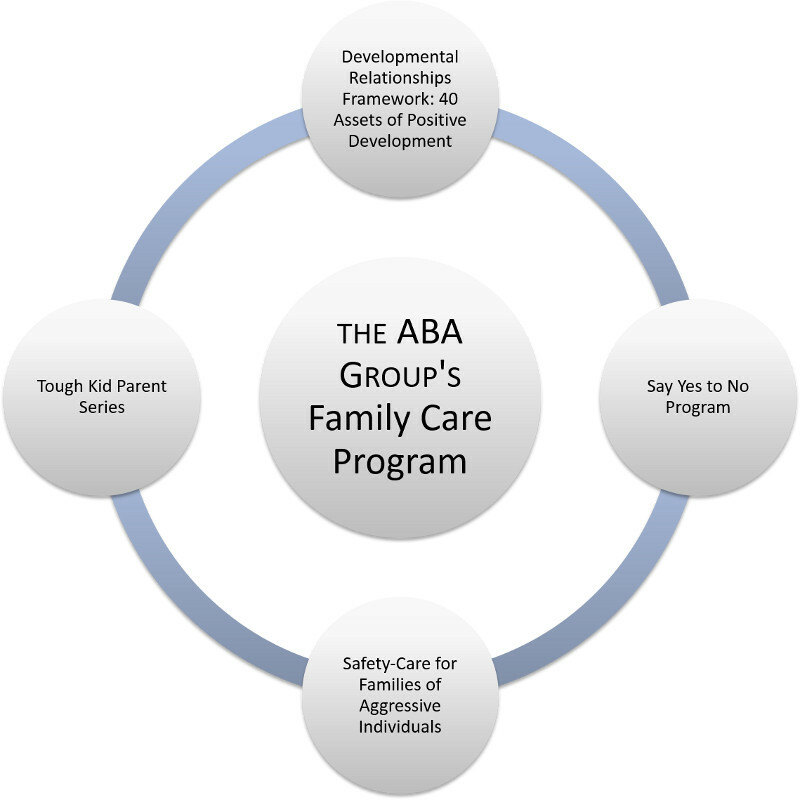 This add-on to an existing ABA program is a great way for the primary working parent who is not able to attend regular in home consultation sessions to get access to the basic and foundational parent training components. Our Family Care program incorporates comprehensive training for parents about typical and exceptional development for individuals of all ages from infants to young adults – as well as how to maximize protective factors and assets including the Tough Kid, Developmental Relationships Framework: 40 Assets of Positive Development, Say Yes to No, and Safety-Care for Families™ curriculums which has been developed to help parents, family members, foster parents, and in-home support staff who provide support in a home, school, community, or in home-like environments to individuals who present behavior challenges.